Colchester Pond is an exciting spot to visit year-round. In early spring you’ll find an abundance of wildflowers including yellow Dutchmen’s britches and purple trout lily along the 3.5-mile trail that encircles the pond. It’s the perfect spot to enjoy a relaxing paddle in the summer, and catch the amazing colors of autumn foliage. The pond is a favorite spot for fishing year round, with many anglers ice fishing in the winter. 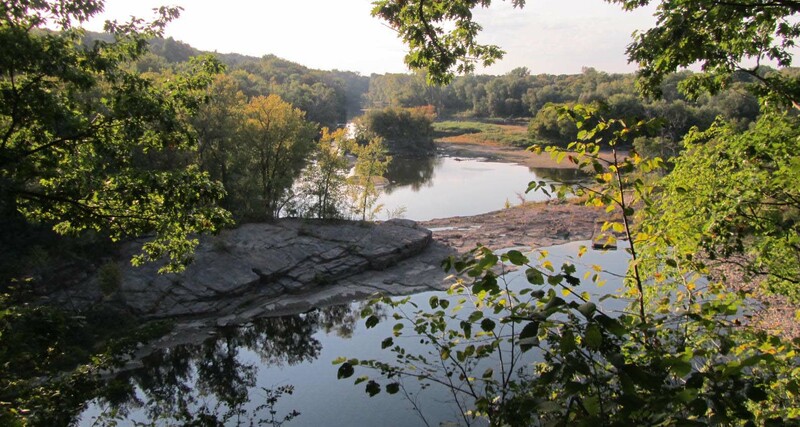 This natural area has been designated an Important Birding Area (IBA) by the Vermont Audubon. Currently, several shrubland restorations and management projects are taking place to improve and manage habitat for songbirds. The pond is a natural pond that was enlarged by a manmade dam in the mid-1900s is a mile in length and covers 182 acres, about a quarter of the park property. In addition to anglers, bird watchers, hikers, canoeists and kayakers, the pond is visited by many water birds, including Canada goose, mallard, great blue heron, Virginia rail, and the uncommon American bittern. Beavers also frequent the pond, so remember to bring your binoculars! Barbed wire fences and stonewalls scattered throughout the forest indicate that much of the property was pasture at one time. 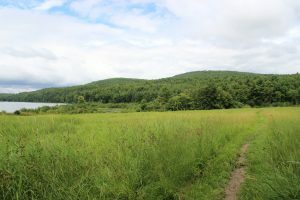 Other signs of past human land use include an overgrown apple orchard at the northwest corner of the property, and an abundance of early successional trees such as bigtooth aspen, throughout the forest from past timber harvesting. 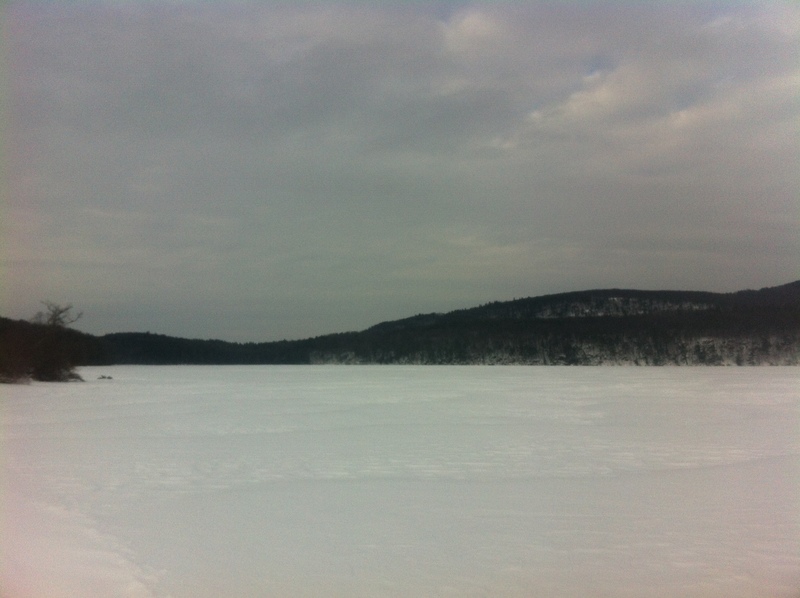 An aspect of Colchester Pond that sets it apart from other WVPD parks is its situation within a large tract of contiguous forest, extending from Indian Brook Reservoir in Essex to the Milton Town Forest. It is the only WVPD property where definite signs of bobcat and moose, two wide-ranging mammals, have been found. In all, 111 vertebrate wildlife species have been documented at Colchester Pond. 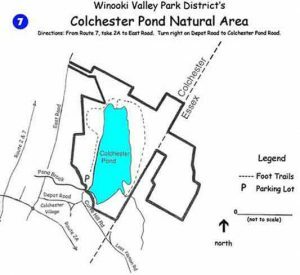 The WVPD asks for park users to please remain on the designated marked trails and to keep pets on a leash at all times while enjoying Colchester Pond! These efforts practiced by all help to maintain the natural integrity of the park for the many species of wildlife that it supports.